Agnes Dean Cameron who was an author, journalist, the first female high school teacher in B.C. and the first female school principle in B.C. Cathy Converse will also be selling her book " Against the Current " at the event. She is thrilled to be able to bring attention to her accomplishments and looks forward to presenting to us. 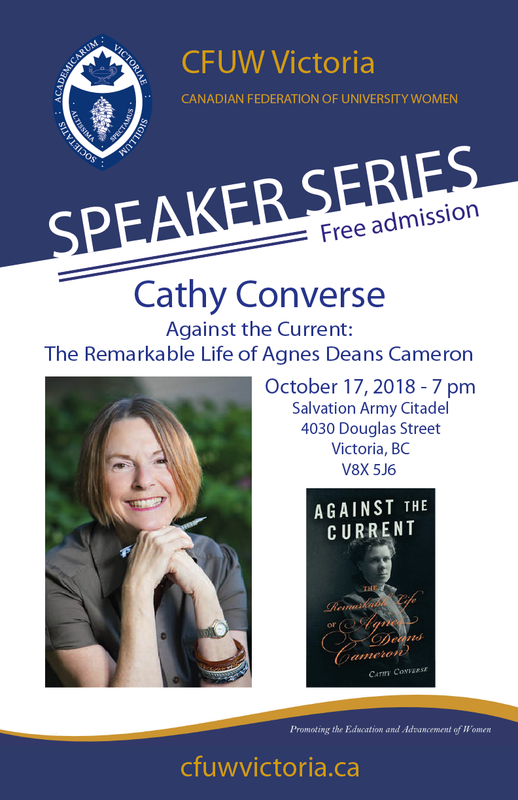 Read about Cathy Converse talking about Agnes Deans Cameron in the Saanich News.